Gabriella Leadens was getting ready for work when she got the call, her blood test had come back positive. There might be something wrong with her baby. Even now she can still recall her doctor trying to reassure her. Gabriella didn’t make it to work. She didn’t sleep either. She couldn’t do anything but think of that ‘positive’ test looming over her baby. 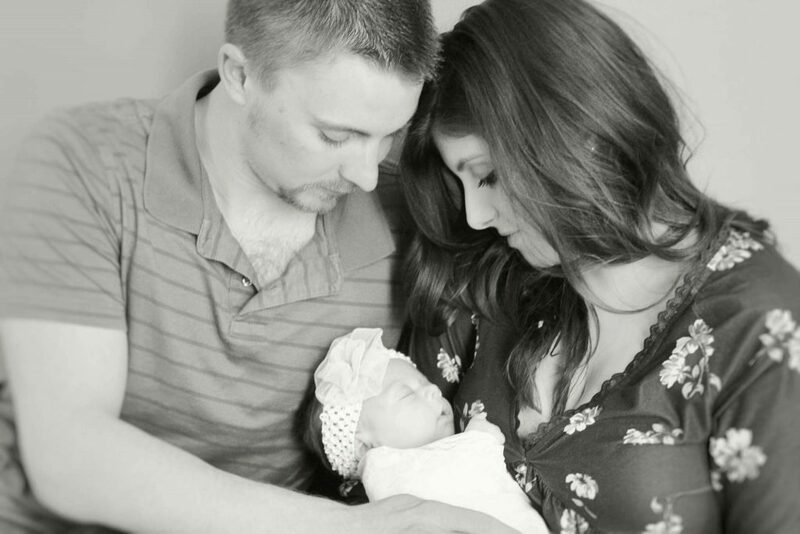 Gabriella and her husband Briggs Leadens got the ultrasound, it was the first time they heard the term gastroschisis; but it wouldn’t be the last. With just one word, the future of Briggs and Gabriella’s baby was suddenly rocky. That afternoon Gabriella says she was a mess. After days of getting bad news, Gabriella and Briggs scheduled yet another appointment and made the trip to the University of Minnesota Masonic Children’s Hospital in Minneapolis. Even though the surgeon had eased some of their worries, Briggs and Gabriella still had to decide whether they were going to continue the pregnancy, and they had less than 8 weeks. They were also praying about it every day, and thanks to their family members, their church was praying for them too. “Penny, my mother-in -law, contacted Pastor Dave the day we found out and briefly told him what was happening. So he started praying, and told a prayer group and staff, so there were a bunch of people praying over us.” After weeks of prayer, research, and talks with their loved ones, they decided to go through with the pregnancy. “The Power of Prayer” is an incredible testimony from the Leadens family, and the real events that took place during their daughter Delaney’s first months of life. This will be a three-part blog series. Part two will be posted on Thursday, January 31 and part three will go up on Thursday, February 7.